Belts are totally in style right now. Belts are perfect with a long sweater or shirt over a pair of leggings. 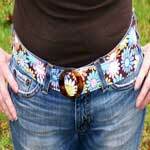 You can make your own personalized designer belt with one of the free patterns on this page. A belt can tie an outfit together and can add color where color is missing. Take a plain dress and add a colorful belt and you have a whole new outfit. 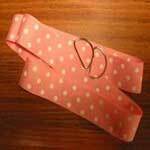 Try making some skinny belts to help shape some of your shirts and dresses, even jackets. Pick your colors and patterns and have one made in an afternoon. Make a plain outfit pop just by wearing this lovely sash belt. 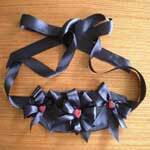 It is made from satin fabric and has three pretty bows centered in the front. Pick a fabric with your favorite spring time colors and prints and sew a belt that will definitely add to spring and summer time wardrobe. 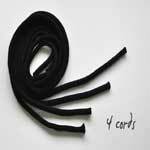 Nothing is difficult about making a knotted belt when using this step by step directions with illustrative pictures. Make it in a single day and wear it out that night. 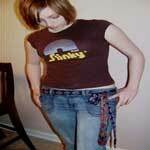 Preteens and teenage girls will love wearing a neck tie belt with their favorite jeans. 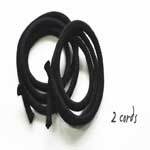 This project is so simple that you may want to make more than one. 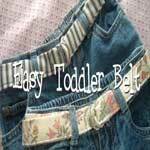 With the use of D rings and some fabric scraps you can easily make your toddler a good looking belt that is washable too. Make yourself a wrap belt that is great for making the waist look smaller and works with almost any outfit. 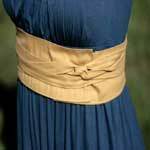 You can easily create an attractive knotted belt that will accent a dress, skirt or even jeans. 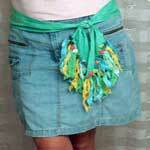 Easy to follow pattern for creating a stylish denim belt with cording. This one is a must have for any wardrobe. Here are detailed instructions along with pictures to help you make a lovely ribbon belt for family and friends and of course yourself. Sew a pretty beaded belt that looks great tied around a sweater dress or long blouse. Make a belt that's reversible for two belts in one. This one is extremely simple to sew and looks good with any outfit you pair it with. 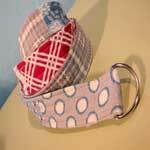 Have fun making this adorable button belt that ties in front and has strips of fabric with a button sewn on each one. 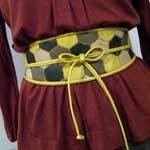 Cut hexagon shape pieces out of leather and sew then onto fabric to create this stylish obi belt. Create a wide one that wraps around the waste twice then is tied in a square knot in front using this simple guide with pictures. 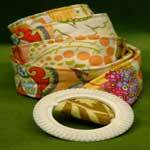 This project is for a quilted belt done in patchwork. Have fun picking through your scrap fabric and get started.